Ugh... seriously. I hope we get over the grape soda nausea someday. That darn grape soda! I STILL don't care to have any. We had lots of similar thoughts on this one. I just have bad experiences with over-hyped books. Glad you read it and gave it a chance and that it was the book you needed when you read it. I may never want grape soda again! Barb, I give you a lot of credit for giving me appropriate expectations for this one. I think it really worked in my favor. It's a shame this wasn't better, given the incredible hype I'd seen around it, but I'm glad it was still decent and you'd recommend it! A couple of the bloggers I follow weren't nearly as kind, lol! I think it actually helped to wait a little while and have my expectations lowered. I wasn't set up to suffer any of the disappointment. I've seen mixed reviews on this book on various blogs. Not on my personal radar though! I can see why the reviews are so mixed. I'm glad I checked it out for myself, though. Great review. I don't mind unlikeable characters, but the implausible really gets to me. I only like psychological thrillers when their spot on, so think I'll pass on The Final Girls. 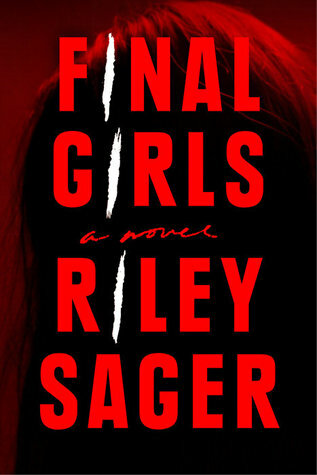 Final Girls was kind of a one-two punch with unlikable characters and being implausible. I still managed to have a good experience, though, so it did have a few things going for it. I can't fault you for taking a pass. Stephen King always gets me with his recommendations too. There was sooo much hype on this one that I almost bought into it but now I'm waiting for my overdrive turn to come up at the library. Yeah, I can't help but take notice when he recommends a new book. Overdrive is definitely the way to go with this one! I do like psychological thrillers and I must say this has a great premise, but, maybe not executed quite as well as it could have been which is a great shame. I'll probably skip this one, even with King's recommendation. I don't blame you for taking a pass. I enjoyed it, but you can probably tell from the reviews whether or not you want to take a chance on it.